Andrew Mayer Cohen (born February 2, 1979), better known by his stage name Mayer Hawthorne, is a Grammy-nominated American singer, producer, songwriter, arranger, audio engineer, DJ, and multi-instrumentalist    based in Los Angeles, California. Cohen also performs and records in the groups Tuxedo and Jaded Incorporated. 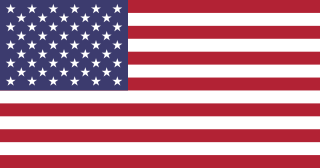 Stones Throw Records is an American independent record label based in Los Angeles, California. Under the direction of founder Peanut Butter Wolf, Stones Throw has released music ranging from hip-hop to experimental psych-rock since its inception. LA Weekly deemed the label an "eternally evolving experiment" in celebration of its 20th anniversary. Christopher George Manak, better known by his stage name Peanut Butter Wolf, is an American disc jockey and record producer from San Jose, California. He is based in Los Angeles, where he moved to in 2000. He is the founder of Stones Throw Records. Kanye Omari West is an American rapper, singer, songwriter, record producer, entrepreneur, and fashion designer. His musical career has been marked by dramatic changes in styles, incorporating an eclectic range of influences including soul, baroque pop, electro, indie rock, synth-pop, industrial, and gospel. Over the course of his career, West has been responsible for cultural movements and progressions within mainstream hip hop and popular music at large. 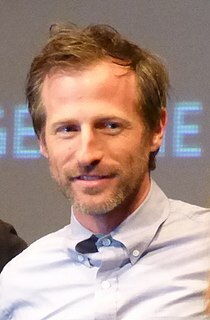 Adam Spiegel, known professionally as Spike Jonze, is an American filmmaker, photographer, and actor, whose work includes music videos, commercials, film and television. We Were Once a Fairytale is a 2009 short film directed by Spike Jonze and starring hip hop musician Kanye West. It is the second collaboration between Jonze and West, since they co-directed the music video for West's single "Flashing Lights" in 2008. How Do You Do is the second studio album by American singer Mayer Hawthorne. It was released on October 11, 2011, by Universal Republic Records. 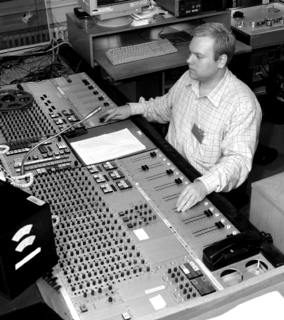 The limited edition box set of the album gave Hawthorne his first Grammy Award nomination for Best Boxed or Special Limited Edition Package in 2014. "Love Like That" was featured in the video game Forza Horizon 3 . Declan Patrick MacManus, better known by his stage name Elvis Costello, is an English musician, singer, songwriter, composer, record producer, author, television presenter, and occasional actor. Daryl Hall and John Oates, often referred to as Hall & Oates, are an American pop rock duo. Daryl Hall is generally the lead vocalist; John Oates primarily plays electric guitar and provides backing vocals. The two write most of the songs they perform, separately or in collaboration. They achieved their greatest fame from the late 1970s to the mid-1980s with a fusion of rock and roll and rhythm and blues. 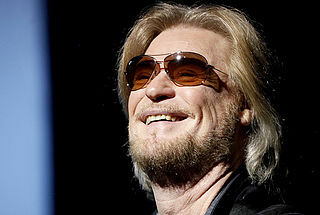 Daryl Franklin Hohl, better known by his stage name Daryl Hall, is an American rock, R&B, and soul singer; keyboardist, guitarist, songwriter, and producer, best known as the co-founder and lead vocalist of Hall & Oates. 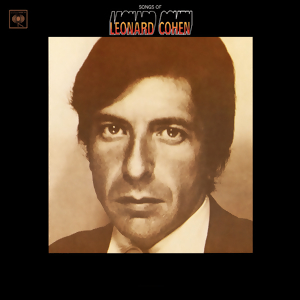 Songs of Leonard Cohen is the debut album by Canadian folk singer-songwriter Leonard Cohen, released on December 27, 1967 on Columbia Records. 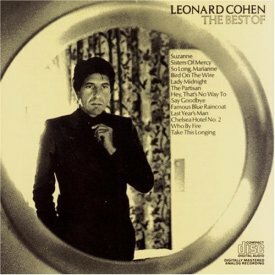 Less successful in the US than in Europe, Songs of Leonard Cohen foreshadowed the kind of chart success Cohen would go on to achieve. It reached number 83 on the Billboard 200 and achieving gold status in the US only in 1989, but peaked at number 13 on the UK Albums Chart, and spent nearly a year and a half on it. 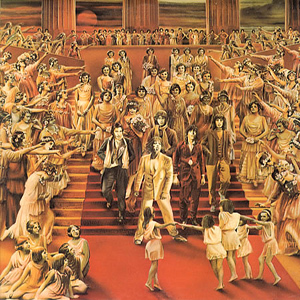 It's Only Rock 'n Roll is the 12th British and 14th American studio album by The Rolling Stones, released in 1974. It was the last Rolling Stones album for guitarist Mick Taylor and the songwriting and recording of the album's title track had a connection to Taylor's eventual replacement, Ronnie Wood. The album also marked the 10th anniversary since the release of the band's debut album, The Rolling Stones. It's Only Rock 'n Roll combines the core blues and rock 'n' roll-oriented sound with elements of funk and reggae. It's Only Rock 'n Roll reached number one in the United States and number two in the UK. Madvillain is an American hip hop group consisting of two MCs and producers, MF DOOM and Madlib. Their debut album Madvillainy was met with wide critical acclaim for its unique approach—short songs, obscure lyrics, few choruses and a sound which was generally unfriendly to commercial radio. Anthony Cornelius Hamilton is an American singer, songwriter, and record producer who rose to fame with his platinum-selling second studio album Comin' from Where I'm From (2003), which featured the title track single "Comin' from Where I'm From" and the follow-up "Charlene". Nominated for 17 Grammy Awards, he is also known for the song "Freedom" from the soundtrack album of Django Unchained co-written and sung as a duo with indie soul singer Elayna Boynton. Diana Ross is a 1976 album by Diana Ross for the Motown label, her second self-titled LP. It reached #5 in the USA and sold over 700,000 copies. Deadguy was an American metalcore band from New Brunswick, New Jersey. The band formed in 1994 and disbanded in 1997. The band is considered to have played an important role in the development of the metalcore fusion genre, their sole studio album Fixation on a Co-Worker being cited as a classic within the genre by some. In 2006, Decibel magazine included the album in its "Hall of Fame" list. "This Town Ain't Big Enough for Both of Us" is a song written by Ron Mael of the American pop group Sparks. It is the opening track on their 1974 album Kimono My House, and was the lead single from the album, reaching number 2 in the UK singles chart. Ian Gillan is an English singer and songwriter. He is the lead singer and lyricist for the rock band Deep Purple. "Something to Talk About" is a song written by Canadian singer-songwriter Shirley Eikhard and recorded by Bonnie Raitt in 1990, for her 1991 album Luck of the Draw. It was released to U.S. radio on June 3, 1991. Three single versions were released: the promo b/w the same song; the 7" single b/w "One Part Be My Lover" a song written by Raitt with her then husband actor Michael O'Keefe, which was also off Luck of the Draw; and a 12" single with these two songs and "I Ain’t Gonna Let You Break My Heart Again" off her previous album Nick of Time. In turn, this song was included on the EP version of Raitt’s 2000 single of "The Fundamental Things" taken from her 1998 album Fundamental. It was also included in 2003’s greatest hits compilation The Best of Bonnie Raitt. Live versions also appeared on 1995’s Road Tested and 2006’s Bonnie Raitt and Friends. Stephen Ralph "Steve" Arrington is an American singer, songwriter, drummer, record producer, engineer and minister, who grew up in Dayton, Ohio. Brett Michael Dennen is an American folk/pop singer and songwriter from Central California. His sixth studio album, Por Favor, was released in May 2016. The Best of Leonard Cohen is a greatest hits album by Leonard Cohen, released in 1975. In some European countries, it was released under the title Greatest Hits. This alternative title was used for the original vinyl release and for CD reissues from the 1980s onwards. Live at the Apollo is an album by Daryl Hall & John Oates released in 1985, recorded live at the Apollo Theater in New York. It is subtitled "With David Ruffin & Eddie Kendricks", of The Temptations-fame. The album is a mixture of their classics and some then-current songs by Hall & Oates. A VHS video of this concert with a different running order was released in 1987. James Dewitt Yancey, better known by the stage names J Dilla and Jay Dee, was an American record producer and rapper who emerged in the mid-1990s underground hip hop scene in Detroit, Michigan, as one third of the acclaimed music group Slum Village. His obituary at NPR stated that he "was one of the music industry's most influential hip-hop artists," working with notable acts including A Tribe Called Quest, De La Soul, Busta Rhymes, Erykah Badu, The Roots, The Pharcyde, Madlib and Common. 1 2 3 4 5 6 7 8 9 10 11 12 Hammerstein, B.J. 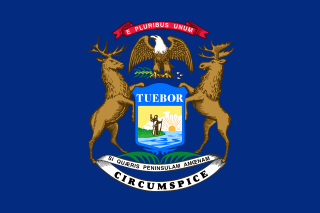 (May 17, 2009). "Chatting With… Mayer Hawthorne". Detroit Free Press . Retrieved 2013-07-15. ↑ "Mayer Hawthorne - Credits". AllMusic . Retrieved 30 December 2017. ↑ "Mayer Hawthorne Chart History". Billboard.com. Retrieved 30 December 2017. ↑ "Mayer Hawthorne: Not Your Typical Soul Singer". Npr.org. Retrieved 30 December 2017. 1 2 3 4 5 "A chat with Mayer Hawthorne". Future Vintage. 2009-02-15. Archived from the original on 2011-07-23. Retrieved 2013-07-15. ↑ "Mayer Hawthorne". AllMusic. Retrieved 17 September 2014. 1 2 3 4 5 6 "Mayer Hawthorne". Stonesthrow.com. Retrieved 2013-07-15. 1 2 3 "Introducing: Mayer Hawthorne & The County". Stonesthrow.com. Retrieved 2013-07-15. 1 2 "Mayer Hawthorne "Maybe So, Maybe No"". Stonesthrow.com. Retrieved 2013-07-15. ↑ "Mayer Hawthorne - "A Strange Arrangement"". Stonesthrow.com. Retrieved 2013-07-15. ↑ "Episode 43: Mayer Hawthorne :: Live From Daryl's House with Daryl Hall :: Current Episode". Livefromdarylshouse.com. Retrieved 2013-07-15. ↑ Saeger, John (2012-11-24). "Mayer Hawthorne Brings Early Morning Funk In Record Store Day EP". Long After Dark. Archived from the original on 2013-02-21. Retrieved 2013-07-15. ↑ "Mayer Hawthorne: Where Does This Door Go review". Pastemagazine.com. Retrieved 17 September 2014. ↑ "Mayer Hawthorne - Official Site". Mayerhawthorne.com. Retrieved 17 September 2014. ↑ Fuchs, Ben (November 9, 2009). "Mayer Hawthorne: "I'm Not a Throwback Artist"". Dunce Cap Quarterly. Retrieved 2013-07-15. ↑ Mistry, Anupa. "Mayer Hawthorne's New Good Days • Interviews •". Exclaim.ca. Retrieved 2013-07-15. ↑ Cohen, Andrew (July 2009). "Mayer Hawthorne: The Soul Man". Beyond Race. Archived from the original on 2010-04-30. Retrieved 2013-07-15. ↑ "Mayer Hawthorne – Chart History: Billboard 200". Billboard . Prometheus Global Media . Retrieved April 9, 2016. ↑ "Mayer Hawthorne – Chart History: R&B/Hip-Hop Albums". Billboard . Prometheus Global Media . Retrieved April 9, 2016. ↑ "Mayer Hawthorne discography". ultratop.be/nl. Hung Medien. Retrieved 27 September 2013. ↑ "Mayer Hawthorne discography". 'lescharts.com. Hung Medien. Retrieved 27 September 2013. ↑ "Chartverfolgung / Hawthorne,Mayer / Longplay". musicline.de (in German). Media Control Charts . Retrieved April 9, 2016. ↑ "Discografie Mayer Hawthorne". dutchcharts.nl. Retrieved April 9, 2016. ↑ "Mayer Hawthorne discography". hitparade.ch. Hung Medien. Retrieved 27 September 2013. ↑ "Upcoming Releases". Hits Daily Double. HITS Digital Ventures. Archived from the original on March 4, 2016. ↑ "Mayer Hawthorne - "Just Ain't Gonna Work Out"". Stonesthrow.com. Retrieved 2013-07-15. ↑ "Mayer Hawthorne Collaboration". Indie Shuffle. Retrieved 2014-02-24. ↑ "Today's Top Tune". KCRW Music. Retrieved 2016-05-20. ↑ "Bandcamp Jakarta Records". Jakarta Records. Retrieved 2016-08-23.